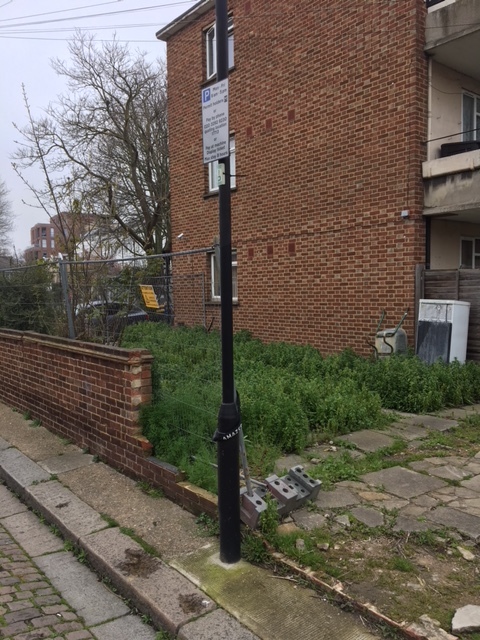 I wrote the other day about the deficient standard of municipal gardening at the back of a small block of council flats in Ashchurch Park Villas. Here is another example. This time from St Peter’s Road. The poor maintenance makes it an eyesore. 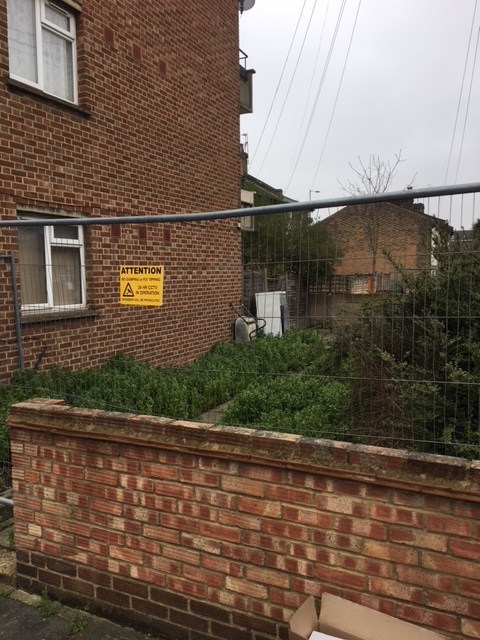 The barriers put up to discourage fly-tipping just makes it look more grim and so has the opposite effect. As I said with the earlier example there would be a case for having a properly maintained garden. There would be a case for building a cottage – if it was attractive with a traditional design and materials. Either way there would be something beautiful to look at. What can not be justified is the current situation. ← How can we boost small businesses on Askew Road?